Grab a cup of coffee because we're going to talk about taxes and the importance of a GPS tracking software solution to automate logging mileage. Business owners and fleet managers in the telco, pest and lawn, logistics industries, or in any type of business where you deploy a mobile workforce know that the miles stack up quickly. Come tax time the big question will be whether or not those miles will translate into potential tax deductions at 53.5 cents per mile. Here are three tips to make sure your tax returns reflect all that time your vehicles spent on the road. In order to be compliant when submitting a claim for transportation expenses the IRS requires at tax time not only a record of your mileage, but the dates of your business trips, the places you drove for business, and the business purpose for your trips. Most of the time fleet vehicles will be traveling to and from business/customer locations. But sometimes drivers take company vehicles home with them. That homeward bound journey, for however many techs the situation applies to, wracks up the miles. If a tech uses the company car for a non-approved job, a side gig maybe, that’s even more miles. It’s also likely drivers make an occasional stop at a coffee shop or burger joint, sometimes having to go a fair distance out of the way. The point is that the IRS wants to know which trips were business-related and which weren’t. As the person responsible for the fleet, and/or profits and loss, being unable to provide appropriate documentation means not maximizing on your tax return. (Not to mention sacrificing wear and tear to your vehicles for drivers who are using them for illicit profit. With mileage tracking, categorization is key. For good asset management, GPS tracking is key. Tracking mileage manually is tedious and time-consuming, not to mention being prone to human error. But cloud-based, automated fleet management tools will provide for a streamlined, IRS-compliant process by calculating and categorizing mileage for each trip. When using mobi.Locate you simply install a small GPS tracking device and it records each stop/start address, distance, duration and more. After that, generating IRS mileage tax deduction reports will be a snap! The term, gamification, means using game-like procedures and features, things like quests, points and rewards based on performance, but used for non-game applications. The point of it is to make boring things less so, which studies have shown that it has a tremendous effect on motivation and increasing engagement. Savvy fleet managers and those with roles in operations can capitalize on this quirk in human psychology by initiating a scoring system among drivers and field techs on things like the most positive customer comment cards received in a given month, or who cut their idle time the most, who has the fewest hard brakes, who kept to their pre-planned routes, etc. The key to all this, of course, is that one has to have a way to actually measure this stuff. Spiffs and rewards for customer satisfaction and safe driving are all fine and dandy until someone has to buckle down and sift through notes, spreadsheets, driver logs, and whatever else to figure out the winners. So what would be helpful would be a handy way to measure driver performance and that automatically crunches the numbers for you, displaying actual performances against your company goals and revealing where improvements can be made or added. That’s where GPS tracking and analytical software helps. It collects visit, technician, and cost details to improve inefficiencies and productivity. As well it can collect metrics like fuel usage, idle time, driving behaviors, time of jobsite arrival and departure – anything you might use in a game-like competition to get your drivers motivated. 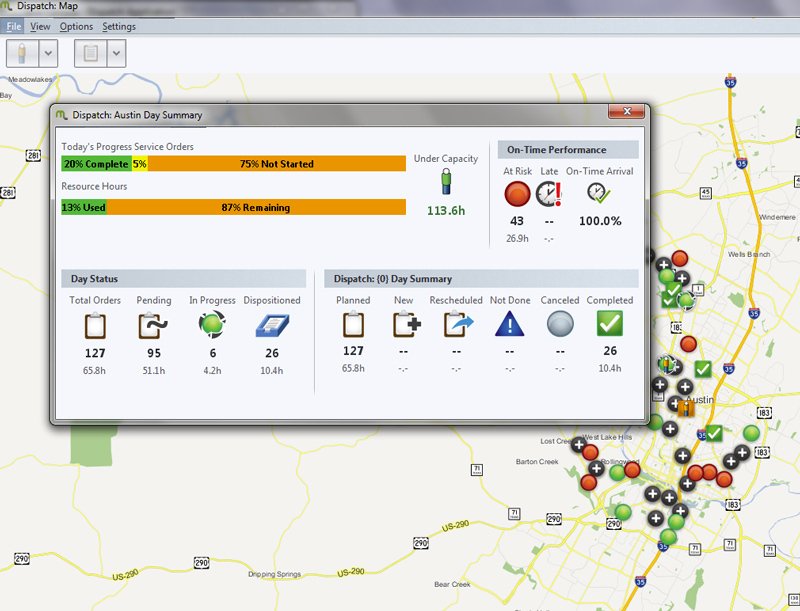 This is real-time fleet monitoring. Selecting your top performers based on the relevant statistics and then rewarding them becomes easy. Not to mention it also helps maintain safety, track and lower costs, and ensure great customer service. So, make it a game, and win! Let’s say it’s almost the end of the day, and the delivery point has been moved to another location. You assume your driver is en route. So, now you have to let your driver know they need to change course -- how do you do it? First question: Where is your driver currently? Second question: How will you communicate the new information to them? If your first answer is “I don’t know” and your second answer is “Call them?” you should keep reading. Poor planning can cost you a lot of money, even if you don't realize it. Gas isn't cheap, for starters. But when your schedule doesn’t go according to plan, good communication can save the day. Whether you’re on the dispatch end or the driving end, planning and communication are key to a fleet running smoothly. GPS tracking software, route planning software, and dispatch software are the answers you didn't even know you were looking for. Knowing your driver’s route ahead of time will help you plan where they should go next. With a vehicle tracking system in place, you can plot and track to make sure everything is going according to plan. And if the schedule changes, dispatch can immediately update your driver’s route then notify the driver in real time. All of this can be done quickly and easily -- it just takes the right software. Be more prepared by using field service software, like mobi. The less time your drivers spend on the road reacting to last minute changes, the more customers they can service. Plus, give them better customer service. We've been working with fleet companies for 17 years now and have seen it all. The kinds of problems you run into when managing a large or small fleet of vehicles, like in the example above, can be solved with a modular approach. That is, using the software that will suit your business's specific needs and adding on as your business's needs change. 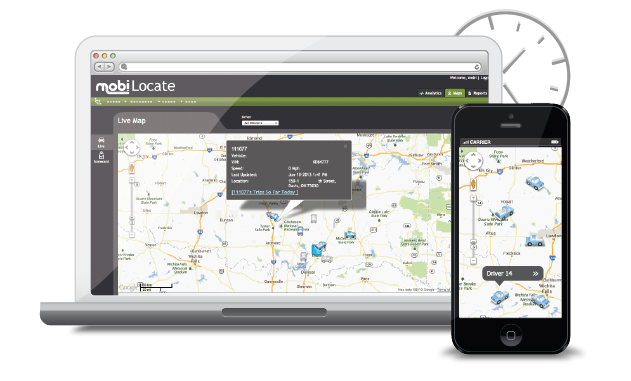 Here’s three of mobi’s fleet management products that can help you improve your fleet planning and great if you're just starting to use vehicle tracking software: mobi.Route + mobi.Locate + mobi.Dispatch. These three products work together seamlessly to plan the best trips for your drivers. If you’d like to see how mobi can help your specific industry, whether your pest control or in health care services, our ROI calculator will show you just how much you can save. Just click here. The best way to plan your trip? Let mobi do it for you. Field service logistics and analytics – we know, it’s a mouthful. But it’s the biggest way to show your customers you take their appointments seriously. Whether you’re in plumbing, pest control, or window cleaning, if you’re making at least 5 stops daily for deliveries or appointments, you need to keep track of your customers’ happiness. 1. More accurate delivery times. Give your customers a more exact delivery window, so they know when to expect your field technicians. 2. Decrease wait time. By plotting your route ahead of time, you’ll be decreasing the chances of your field technicians getting lost. 3. And if they do get lost, give your customers an update in real time. Check where your field technicians are and update your customer on their progress. Your customers want real time information and to know you’re on top of it when it comes to delivering service. Think it’s easy to improve your bottom line and build that relationship with your customers? It can be if you use mobi. 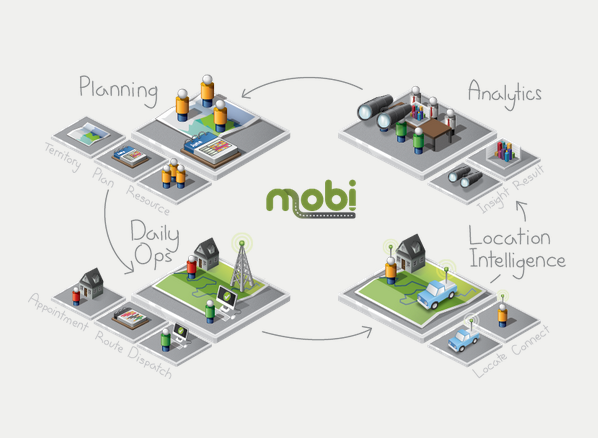 With mobi products, like mobi.Plan, mobi.Locate, and mobi.Territory, you can apply some serious strategy to your business that will make your customers happy. It’s all pros when it comes to using planning solutions for your business. Check out different ways mobi can deliver you the best field service analytics and logistics here: Get started. Gas ain’t cheap. You’re probably feeling it in your pockets every time you fuel up, and especially when your whole fleet does. This is why having a field service software management system in place, like mobi, will help you save money on gas. Aggressive driving, like speeding and rapid acceleration followed by braking, wastes tons of gas. See who’s doing it and then inform your drivers. Driving the speed limit can improve gas mileage up to 10% -- saving you about $0.09 to $0.28 per gallon. Plus, it’s safer. 2. Avoid traffic and getting lost by planning ahead. The art of planning ahead can save you, in more ways than one. Shaving time off the schedule by having the route plotted out ahead of time will lessen fuel costs and give your drivers a more efficient path. No more off-roading. See how long that quick stop really took. Excessive idling can use up to a quarter to a half gallon of fuel per hour, depending on how high that AC is blasting. Monitoring idle time will help you be more aware of ways to cut down on those minutes. Specifically, tires. Setting reminders for maintenance updates will always save you money. Like reminding your field technician to check the air in the tires, so the vehicle isn’t slowing down as they deflate. Fix small problems before they become big, expensive ones. Tired of drivers getting lost? Or creating their own, and much longer, routes? Give dispatch an easier form of communication so your fleet isn’t running around wasting gas trying to find their drop off location. This is all about improving how you run things. Have digital records ready to be pulled up whenever you need them. Keep track and keep adjusting, so you can see how much you’re actually saving on fuel costs. As you can see, there are a lot of ways to help your business save money on gas. Are you doing any of the above? If not, how about you start doing all of them, just by using one field service software management system: mobi. You’ve heard it before: Everyone’s got a smart phone. It’s important to stay connected today, especially when you’re running a business on a schedule. Smart phones, tablets, and other mobile devices are the tools that help you do it. Don’t think a smart phone is only good for downloading games like Candy Crush though. What about how it can connect you to your employees and empower them to deliver even better delivery service to your customers? Not only that, but its fast. One of the benefits of having a real-time connection with your field technicians is the convenience. You log on, you make the adjustment, boom. All done. Easier than writing them a long email about a cancellation or taking 20 minutes to explain a new route on the phone. Update arrival times like you update your Facebook status. Yes, it’s totally that easy. Here’s an example: Your field tech is on the way to make a 3 o’clock appointment. But the customer calls you and says they need it there by 2:30. 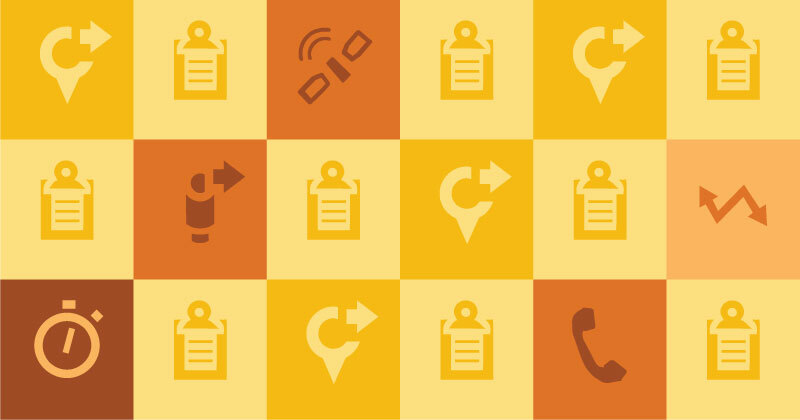 All you, or a dispatcher, needs to do is make those changes in the app, so your field tech can get the update, change route, and get there on time. Then the customer is happy and you didn’t need to reschedule. This is the benefit of having a connected fleet and team. And no matter what kind of mobile device your technicians use, if it connects to the internet, mobi’s field service app works. Streamlining your business by getting connected with mobi.Connect and mobi.Dispatch will make your business more cost-effective and efficient. Not to mention you’ll be doing less paperwork -- and what business owner doesn’t like that? Interested in learning more? Click here to get a free demo. •	Are you still using pencil and paper to keep track of each of your drivers’ deliveries? 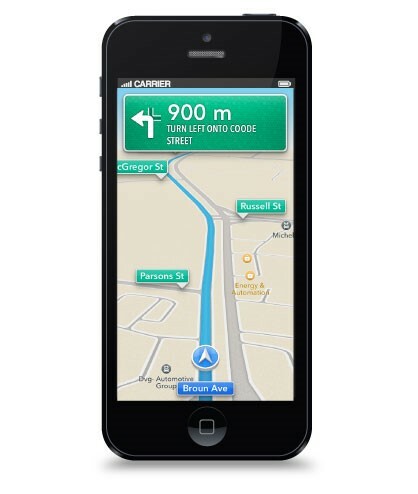 •	Do you still print out maps for all your drivers when they have appointments? •	Tired of refilling the ink cartridge in the printer because of all the spreadsheets you print out? Whatever your industry, you can benefit from keeping digital records for your fleet. Tracking vehicles can be as easy – you just need the right software. Using mobi.Locate and mobi.Route, you can have all your data, like vehicle routing, fuel costs, vehicle scheduling, and more, done for you. You can choose to have reports emailed to you, or your fleet manager, daily, weekly, or monthly. Digital records are more accurate, faster, and won’t drain your resources. Not a tech savvy person? That’s okay. Your life as a business owner will get so much easier if you start with mobi. Our software is user-friendly, accurate, and easy to integrate with other systems. Not to mention it’s easy on the eyes. It gets better: Using field analytics can help you reach your business goals. Get the digital edge on your competitors and keep track of your growth with logistics technology. Goodbye, hole punch. So long, binders. Hello, mobi.